Like flowers in spring, new business signs seem to pop up all over the neighborhood. 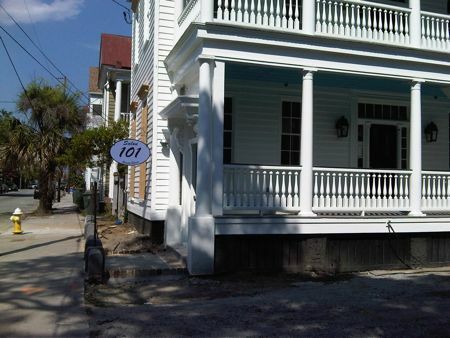 The latest sign appeared yesterday at 101 Spring St, in the heart of downtown Charleston Sc. Owner Chris Hitopoulos, will soon be opening her SALON 101, after the fire set back her renovation. This scruffy block of Spring gets this years most transformed award! The entire neighborhood is the most rapidly transforming in Charleston Sc due to the commercial/residential zoning change along with the city’s promise to convert Spring and Cannon to two way. Combine this with a stellar location in the middle of the downtown peninsula, and the relatively good deals to be had on large properties with ample parking….appreciation in real estate during a downturn is possible!